OTTAWA—A Liberal MP has joined opposition calls for an investigation into an allegation that former attorney general Jody Wilson−Raybould was pressured by the Prime Minister’s Office to help SNC−Lavalin avoid criminal prosecution. Conservatives and New Democrats on the justice committee joined forces to get an emergency meeting on Feb. 13 to consider a motion calling on nine high−ranking government officials to testify, including Wilson−Raybould herself. 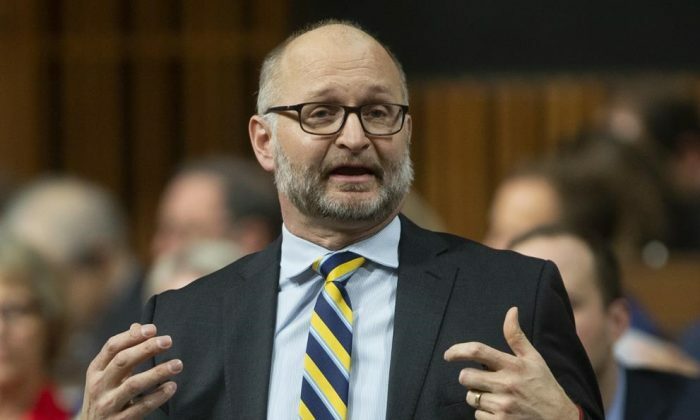 The list also includes David Lametti, who replaced Wilson−Raybould as federal attorney general in a January cabinet shuffle, the prime minister’s chief of staff, Katie Telford, and his principal secretary, Gerald Butts. The New Democrats said on Feb. 11 that the federal ethics commissioner, Mario Dion, is looking into the events, after they requested he do so last week. The Globe and Mail newspaper reported last week that Prime Minister Justin Trudeau’s aides leaned on Wilson−Raybould to help avoid a prosecution of SNC−Lavalin on bribery and fraud charges. The newspaper says Wilson−Raybould was shuffled to the veterans affairs portfolio after she refused to direct the public prosecutor to forge a remediation deal with the company, which would bypass a criminal conviction. The Liberal government maintains that while discussions on the matter took place with Wilson−Raybould, she wasn’t pressured or told to issue a directive to the prosecutor. Trudeau, who is in British Columbia today, is also likely to face questions about the nature of those closed−door discussions. Scheer has written directly to Trudeau asking him to waive solicitor−client privilege so former attorney general Jody Wilson−Raybould can publicly talk about what happened with SNC−Lavalin.